They say that Manila's Chinatown is the oldest in the world. 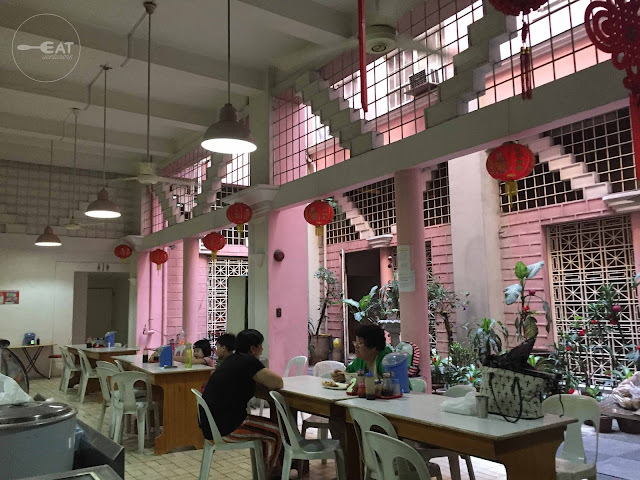 Visiting this place would give you a view of the Filipino-Chinese communities' rich culture and tradition. 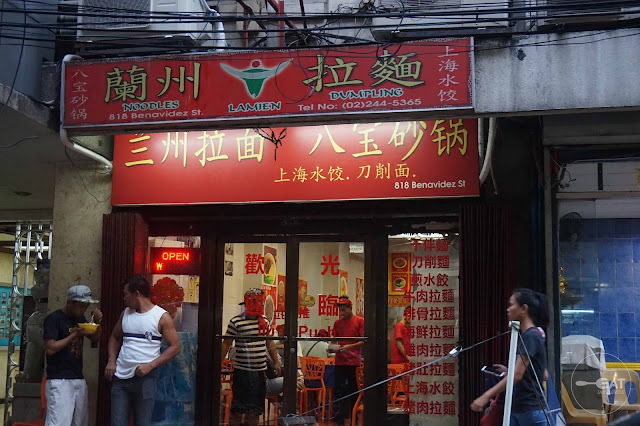 No wonder it is one of the food tour destinations in the old Manila as it showcases authentic Chinese food. 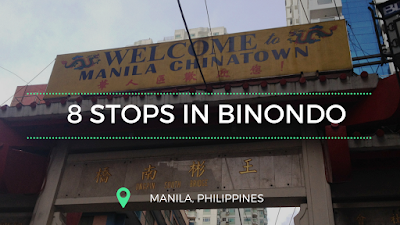 If you are late in celebrating the Lunar New Year and would still want to tour Binondo with a budget of P1000, we got your back. We listed down eight go-to places and must-try food you can check out for a day within the P1000-range as your budget. This foodtrip can already be good for two people. Tasty Dumpling is known for its huge pork chop that's bigger than your hands. 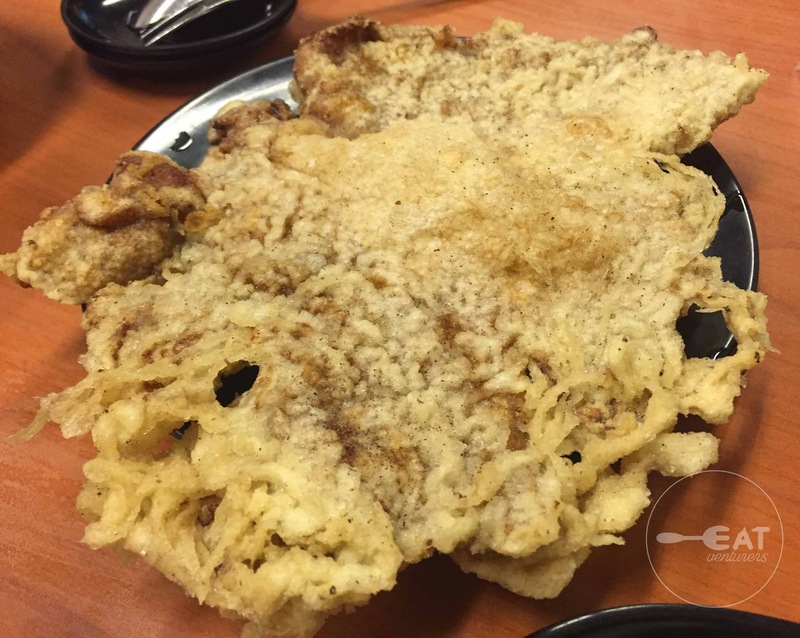 We can say that it can battle with Hot Starr's pork chops. The pork chop is partnered with tossed noodles smothered in a special sauce and crushed pickles, a good combination complementing the meat. The sauce is somehow sweet and kind of tastes like hoisin but less strong. 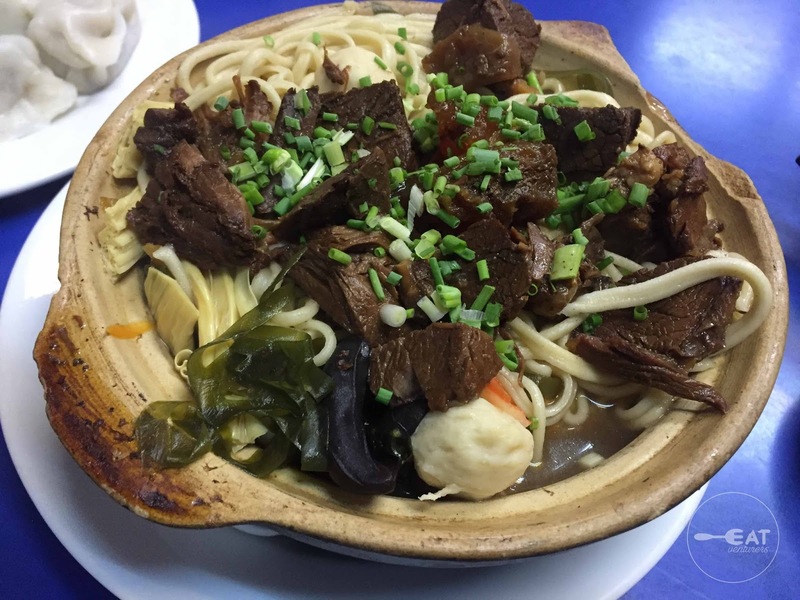 They also serve this meal with a soup where you can dip the noodles. Sometimes, however, we prefer sipping on the soup separately because the noodles are already drenched in sauce. This meal is already good for sharing given the big-size serving. 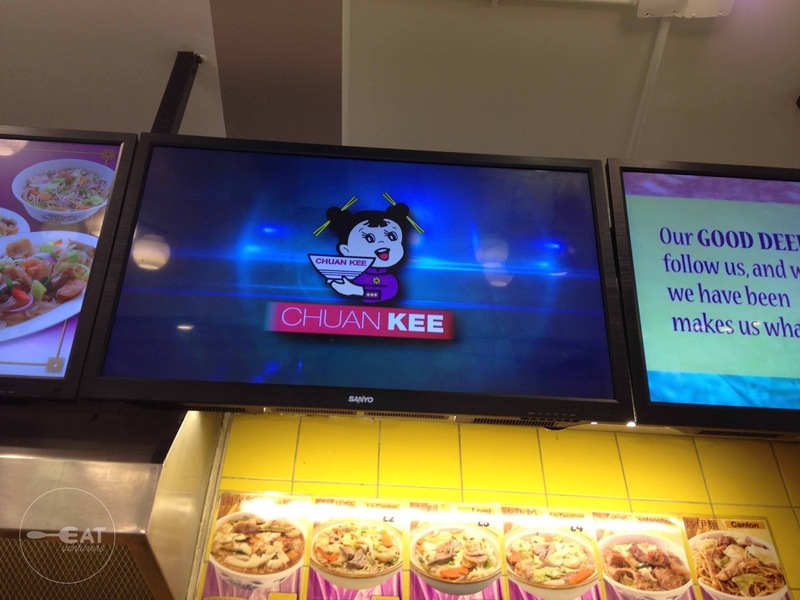 Their pork chop is very tasty and no longer needs sauce. Its breading is sweet and it's crispy when served. Note that this is a heavy meal because the noodles are thick. Tasty Dumplings has other branches within Binondo and Banawe. 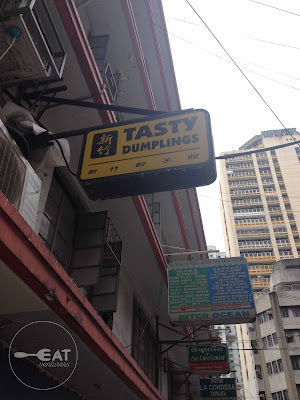 Now, this is among the most "sulit" places to try in our list of Binondo food stops because they sell various dumplings and other dimsum treats for a very reasonable price. Bonus? You get to see how they make their dumplings. 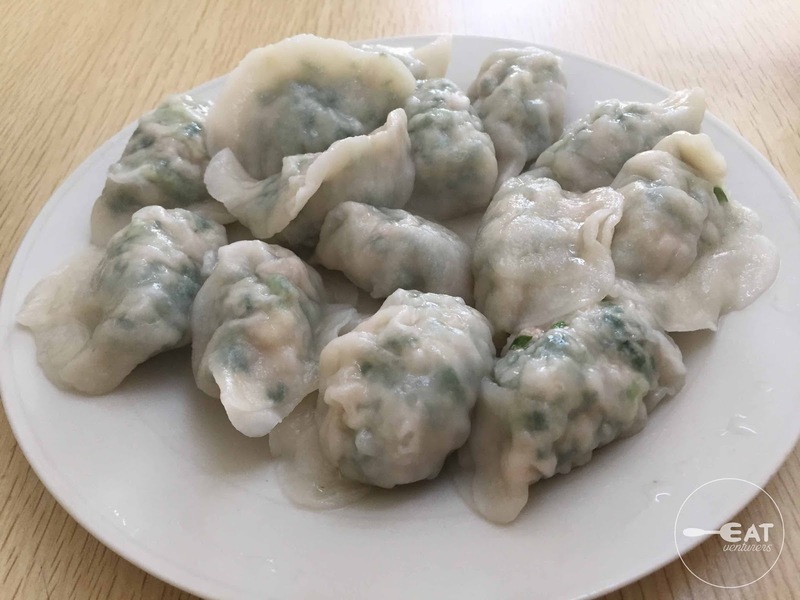 We see foreigners go here just to watch Dong Bei's staff make these lovely dumplings. We can't blame them because it is entertaining. 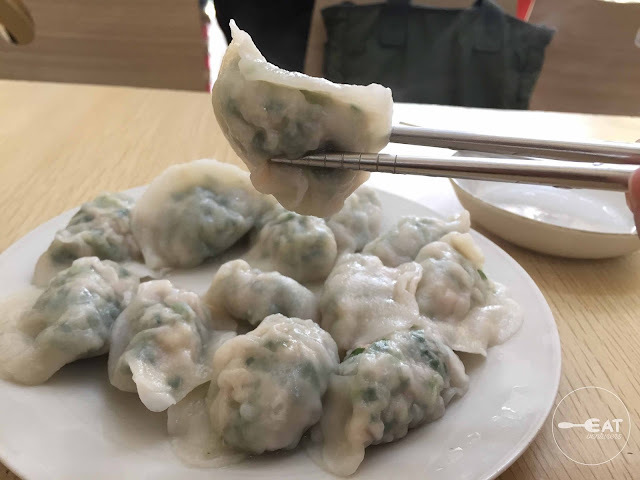 The Eatventurers never fail to visit this place because their dumplings are meaty and compared to others, they are cheaper. Other establishments only serve a dozen dimsum per order but imagine getting 14 pieces for a cheaper price? It is already satisfying even without rice. 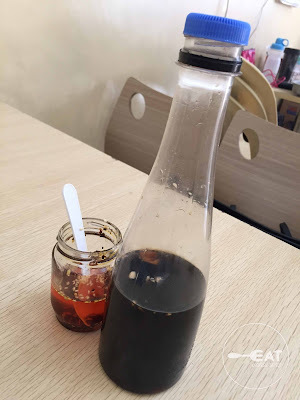 This is best partnered with their black vinegar sauce or chili oil, depending on your preference. You can even order frozen dumplings for take-outs. 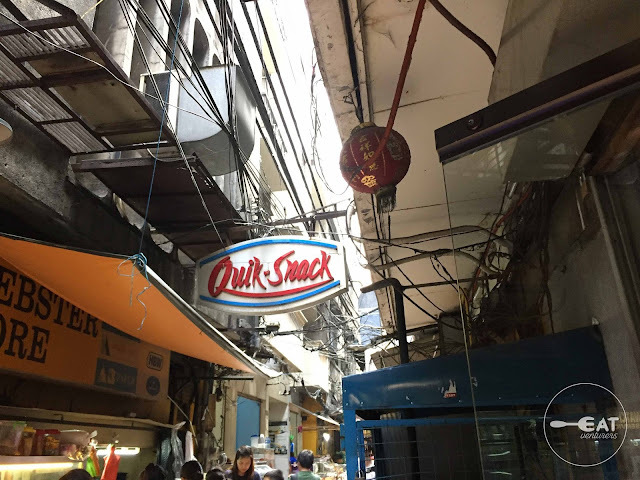 Dong Bei is kinda hard to spot because it is located in an eskinita and its sign is not so visible but you can find it near the Hong Bon Bridge. The bridge is near Lucky China Town. But still, do not miss this on your list. Just prepare to be on queue as the place is almost always packed because it is not a big establishment. Quik-Snack is one of the oldest among the food stops we listed. It's a go-to place for merienda and it's only open until 6 p.m.
We found out about this place while searching for places to eat in Binondo. We didn't exactly know what to order then so we ordered machang but then a group of "foodtourists" came and ordered Indonesian tauhu and so we also ordered the same. They were on a food tour with Ivan Dy of Old Manila Walks. We didn't regret ordering Indonesian tauhu because for the price of P100, it's one of the best we tried that we crave for it from time to time. 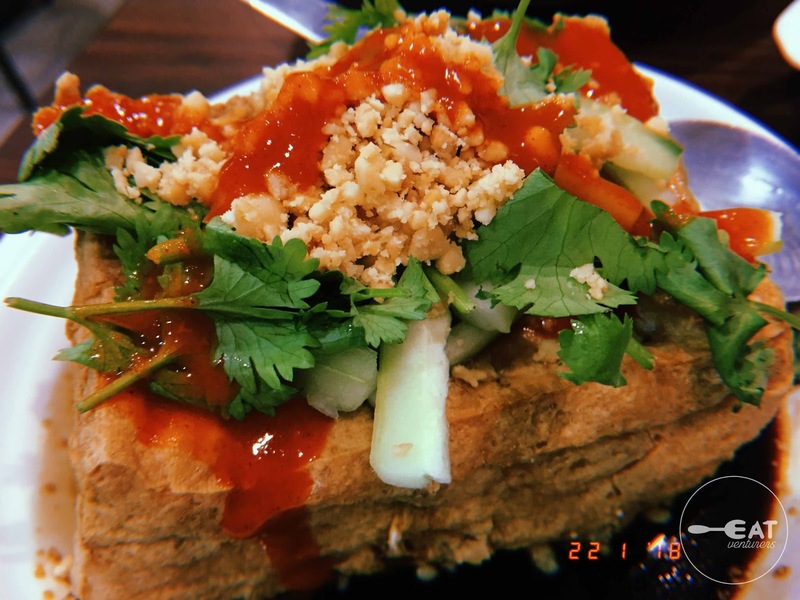 Indonesian tauhu is just your usual tofu fried and topped with huansoy, peanuts, cucumber, and drizzled with hot sauce. It also has a soy sauce base that's salty and sweet at the same time. Despite being fried, the inside of the tofu is soft and looks raw. We don't know how they do it but the outer crispiness and inner softness is just a good combination. 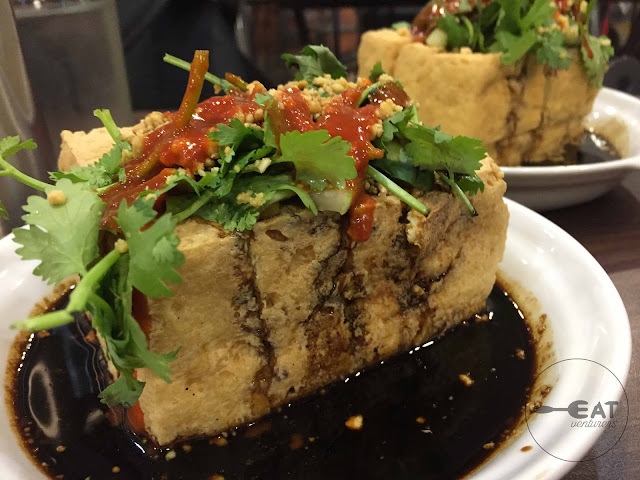 Sometimes Indonesian tauhu is sold-out easily so it's good to reserve via phone call at: 2429572 or 2429589. One order is already good for two. 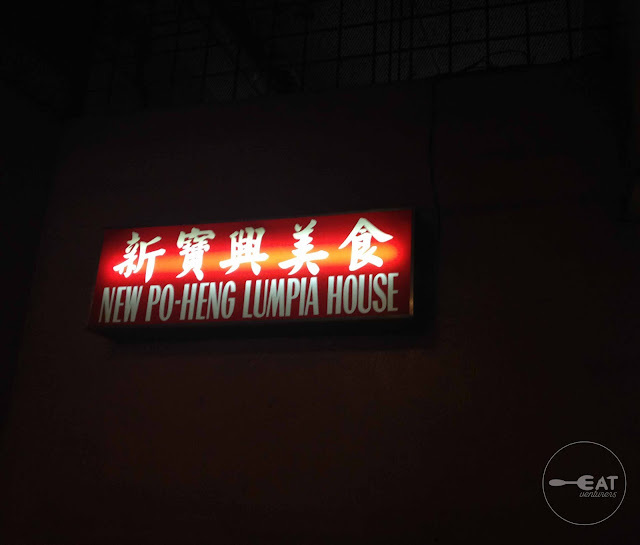 By the name itself, you can tell that New Po-Heng's bestseller is their lumpia. The alley of the Uysungbin building is dark but you'll just have to walk straight ahead until you find the sign of the store. 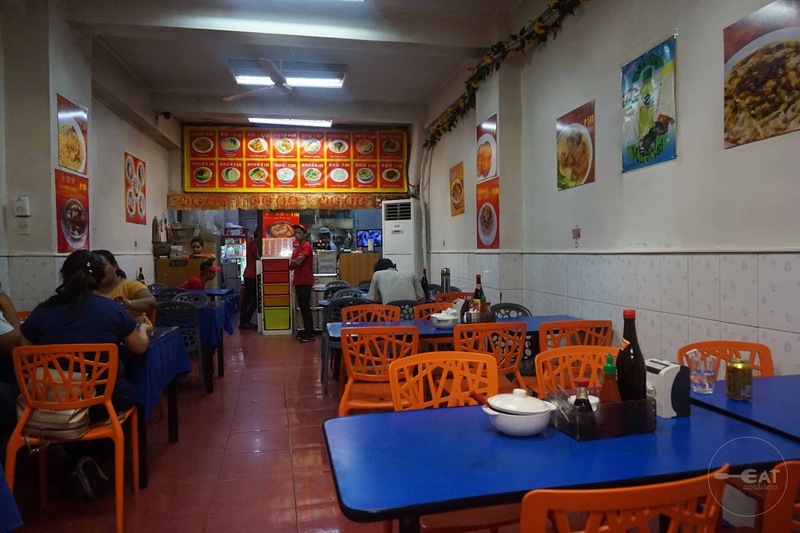 New Po-Heng also offers other food such as pancit and other viands. 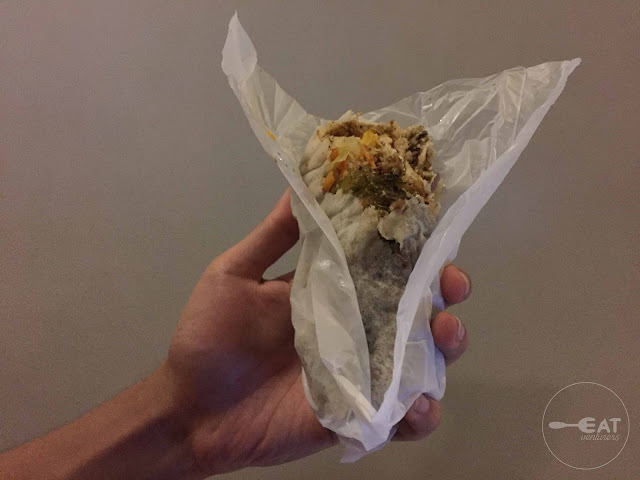 When we first tried their lumpia in 2014, it used to cost around P45 to P50 but now they increased the price to P60. 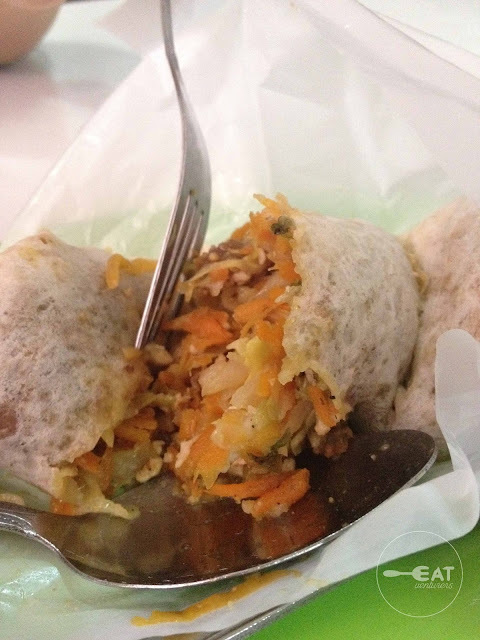 We can't say it is the best lumpia we tried but this one tastes good. You can either dine in or take out your food as they have enough seats in the store. However, it's open-air, so expect warm temperature inside. also full of veggies including bean sprouts, carrots, cabbage, among others. 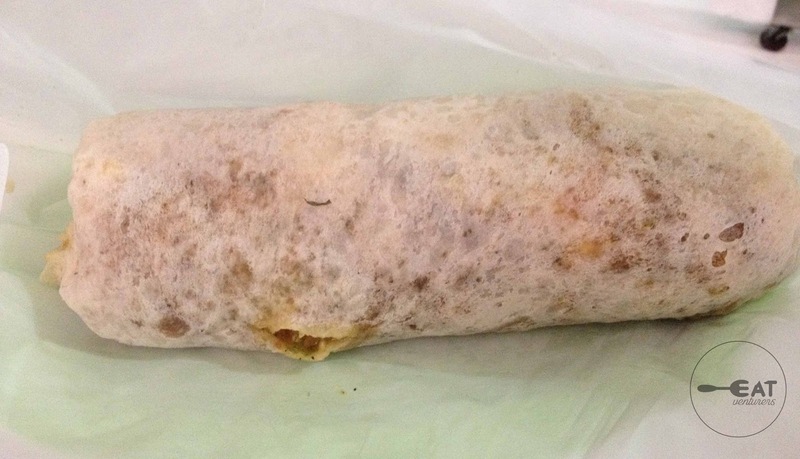 The wrapper is sometimes hard to munch on because of the chewy texture. We loved how sweet the sauce is. For quick meriendas, this lumpia is surely satisfying, although we can't say if it's still worth the price. 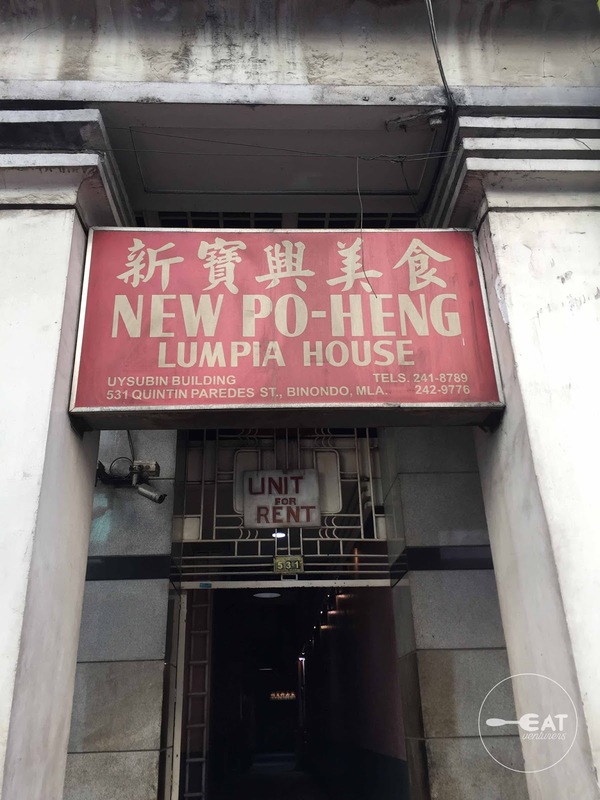 In January 2019, New Po Heng moved from Uysubin Building to Carvajal Street. Operating Hours: 7:00 a.m. to 7:00 p.m.
Chuan Kee is another food venture of the owner of Eng Bee Tin. It's located downstairs of Cafe Mezzanine. 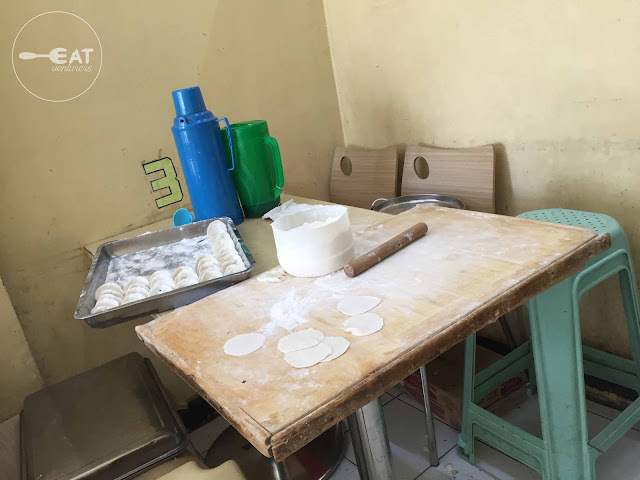 We tried their ube halo-halo in 2014 and it was just worth less than P150 then. This dessert would truly quench your hunger for cold treats. It's cheesy unlike other halo-halo and of course it is topped with the fastfood's signature, ube ice cream. 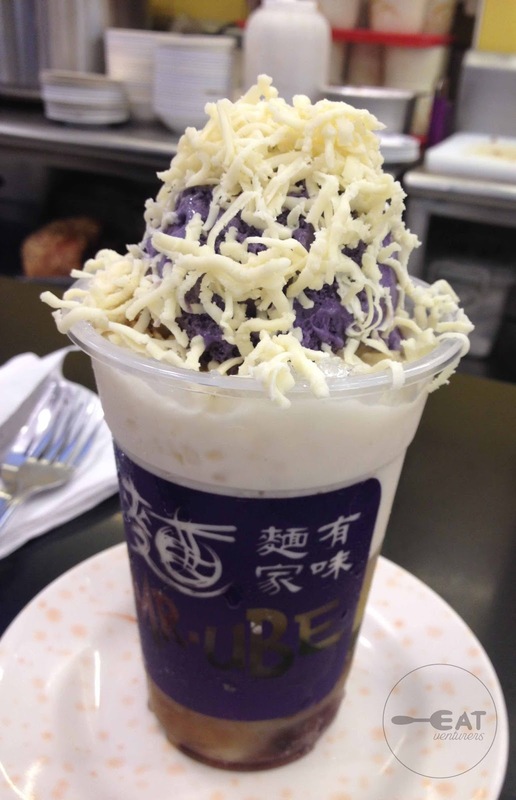 We can say that Chuan Kee's halo-halo is worth the price because it is placed in a tall cup with generous servings of toppings such as banana, red beans, macapuno, among others. It's not sweet and it blends well with the cheese. Didn't we say ube is also in line with this year's Pantone Color of the Year: Ultraviolet? (Disclosure: The Eatventurers can no longer find the halo-halo in Chuan Kee's menu but Cafe Mezzanine still offers it). 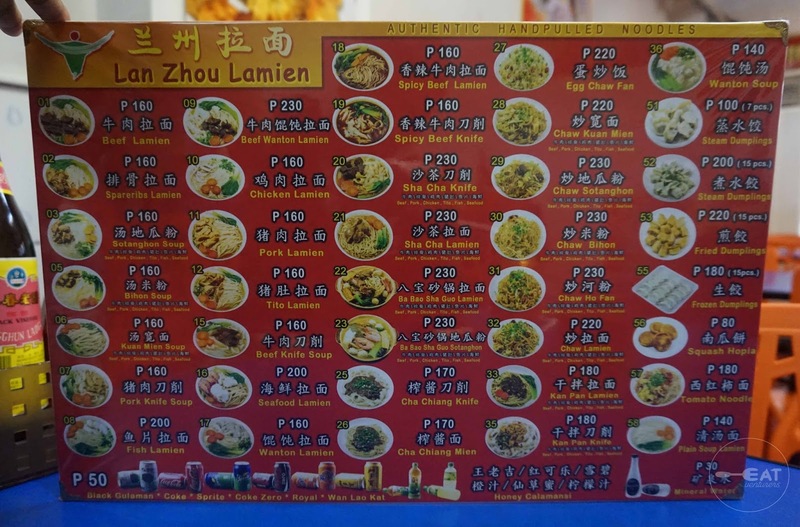 Operating Hours: 6:00 a.m. to 10:00 p.m.
Lan Zhou La Mien is popular for its noodles and dumplings. The Eatventurers, however, loved their noodles better. 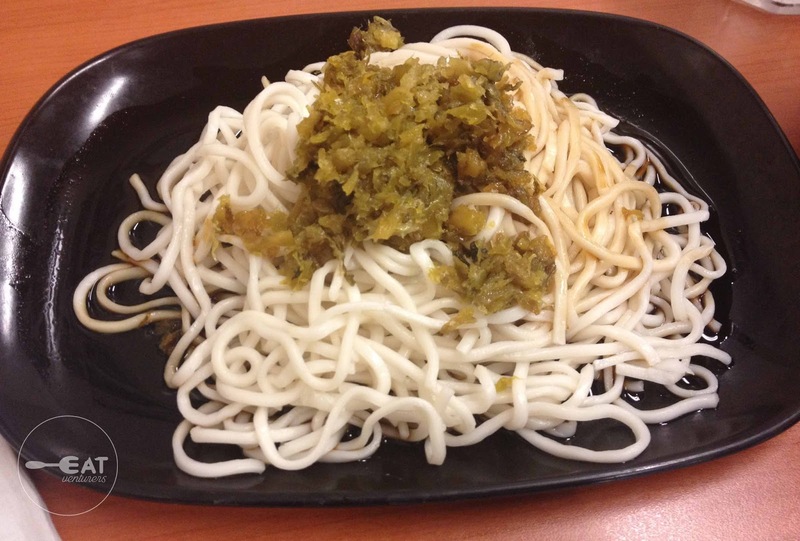 We've been here several times before but we can say that their bao bao sha guo la mien is their best. It almost has everything we need: beef, pork, chicken, fish, seafood and tito (pig's tripe). 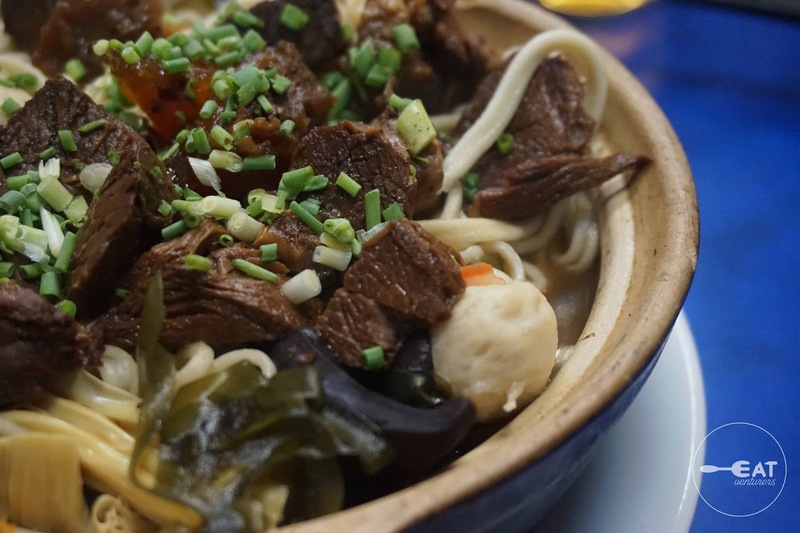 One bowl is already good for two to three people. Despite having variety of toppings, the bao bao sha guo la mien still tastes good. The beef dominates the taste of broth. We love how generous they are with toppings, it is indeed meaty. We're not a fan of tito as it is somehow bitter-tasting. 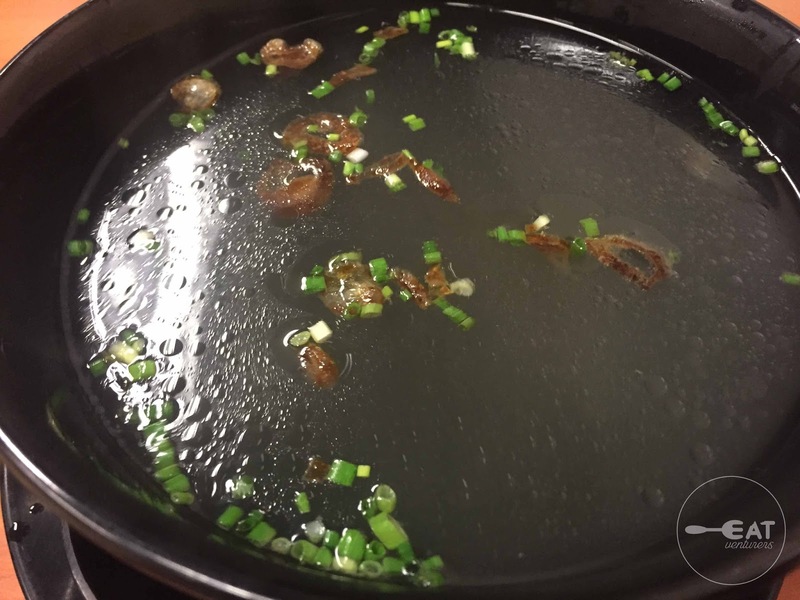 To spice up the noodles, you can add chili oil or spring onions. 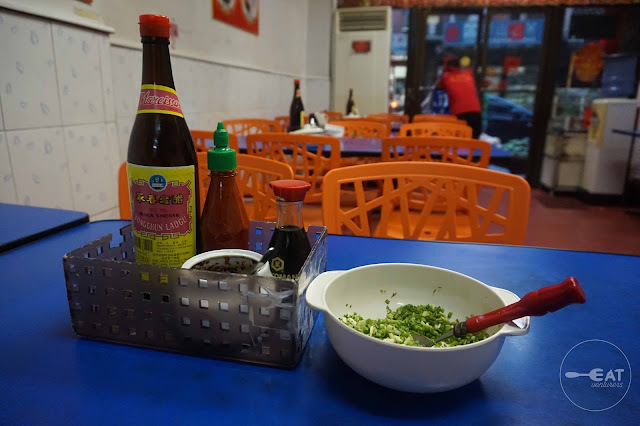 The Eatventurers have tried other noodles of Lan Zhou La Mien and we can say all of them are good. Their dumplings are also good. 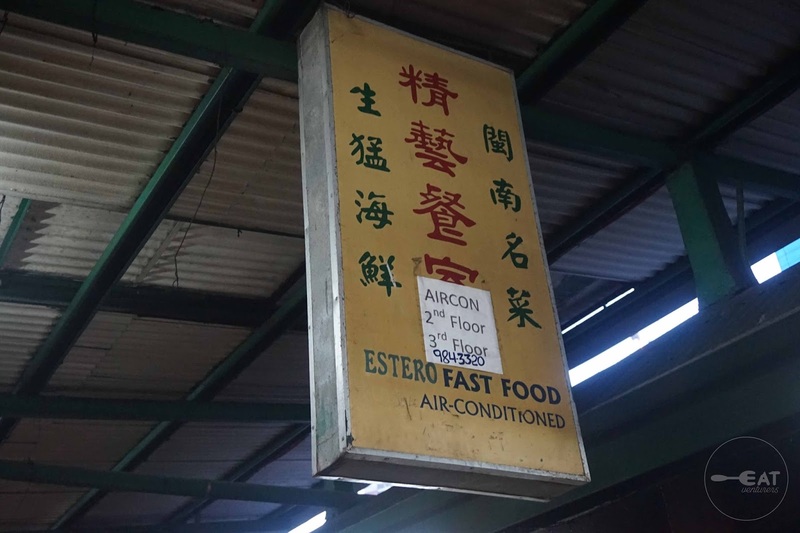 Operating Hours: 8:00 a.m. to 9:00 p.m.
We have been meaning to try Estero Fast Food for a long time now but their crispy fried frog legs, a must-try dish, is often out of stock. When we finally got to try it, it didn't disappoint. 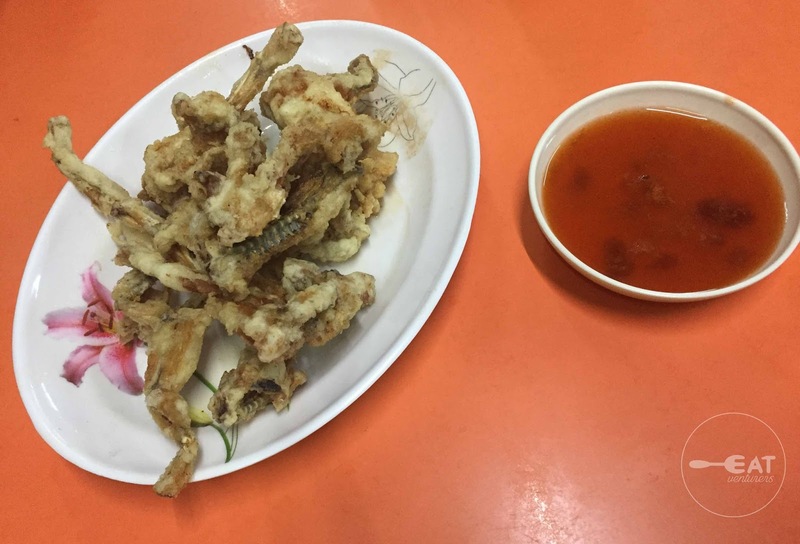 As expected, the fried frog legs taste like chicken but compared to chicken, it is more bony. Estero offers crispy fried frog legs in small, medium, or large servings. We can say that the small serving is good for one if you also ordered a rice, but it can also be shared. 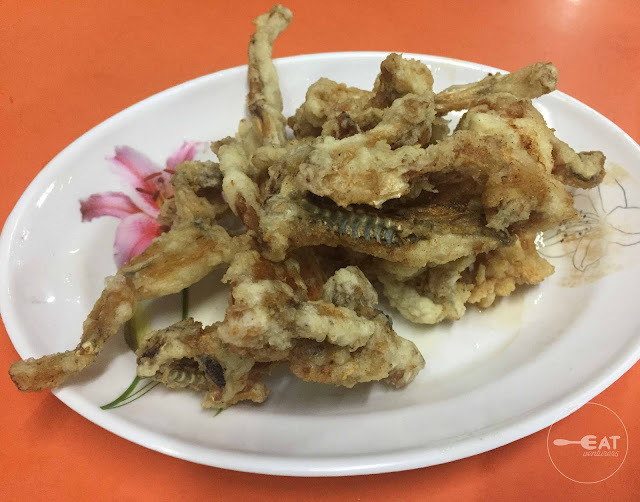 The crispy fried frog legs is served with sweet but you can opt not to dip it as it is already good with its breading. 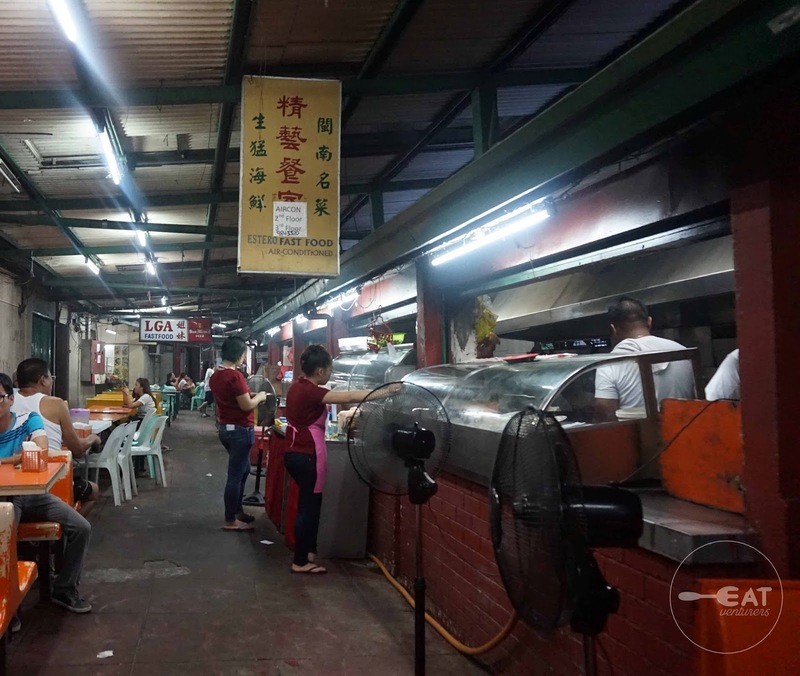 Estero Fastfood is located near the Ongpin bridge and is open-air. They have an airconditioned room upstairs. 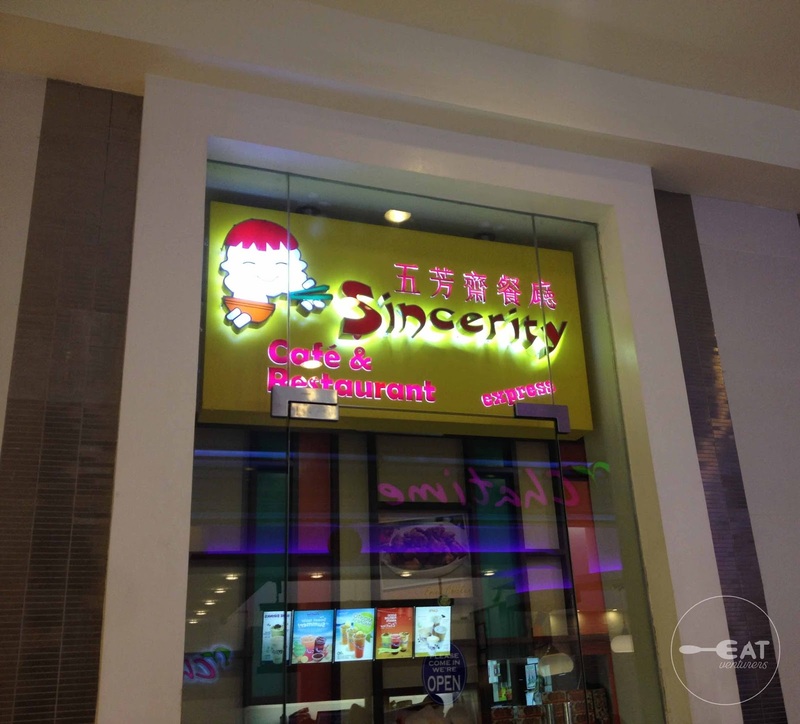 Operating Hours: 9:30 a.m. to 9:30 p.m.
We tried Sincerity's original fried chicken and was surprised that it was one of the best tasting we ever tried. 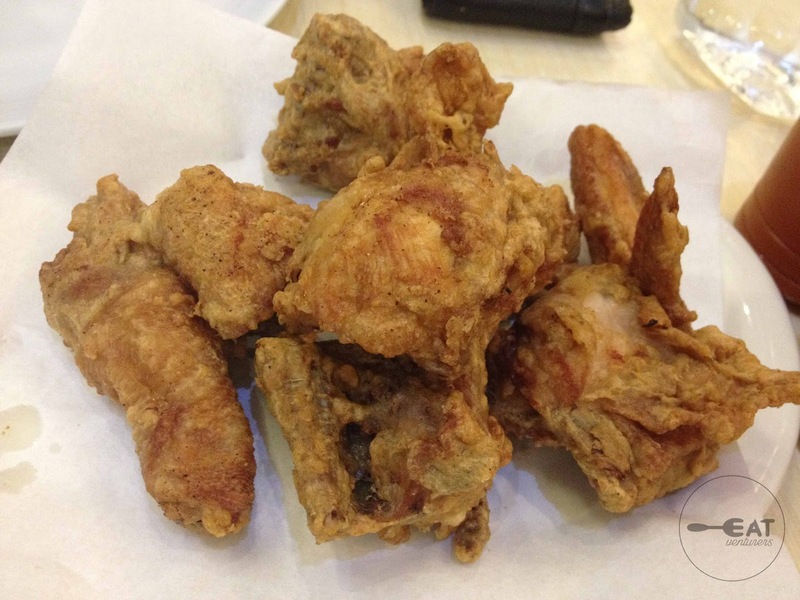 The fried chicken being offered in half and whole cuts are worth P160 and P320, respectively. There's something about its breading that it doesn't even need any ketchup to enhance the taste. It's just delicious as it is. Works best with rice! This restaurant is also among the oldest we've listed so expect old patrons queuing for it. 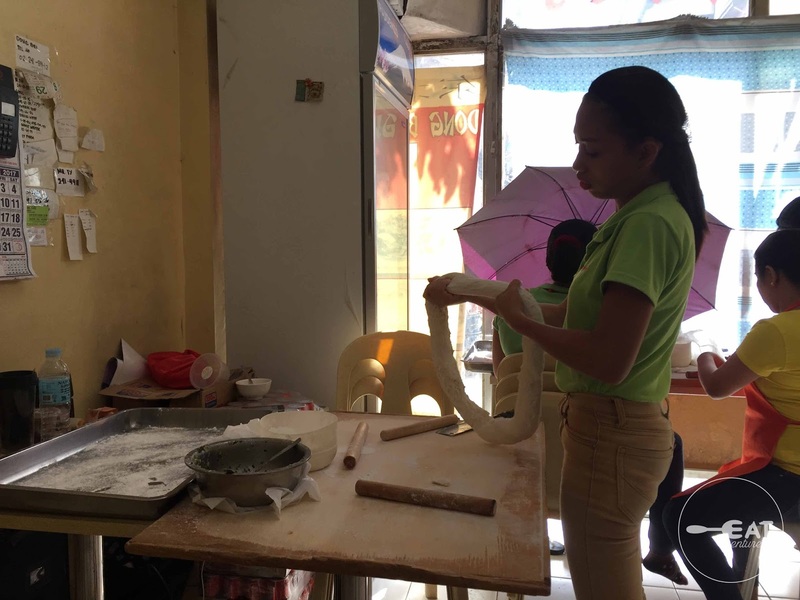 Operating Hours: 10 a.m.- 10 p.m.
We may have failed to fulfill the P1000 challenge but we can say this is a reasonable foodtrip. Pro-tip: Do not order rice during the whole food adventure and start early. 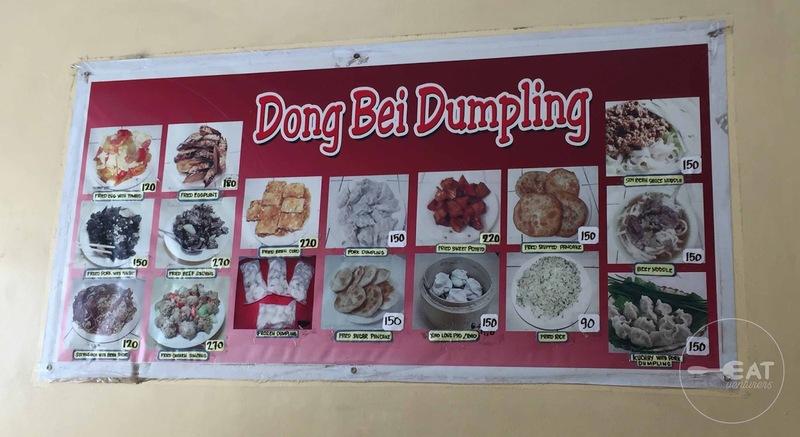 You may opt to follow the itinerary in no particular order or miss some of the stops but be sure to enjoy your Chinese food trip. And while you're at it, you can do a side-trip and visit some of the buildings in Old Manila or do a photowalk to burn those carbs. 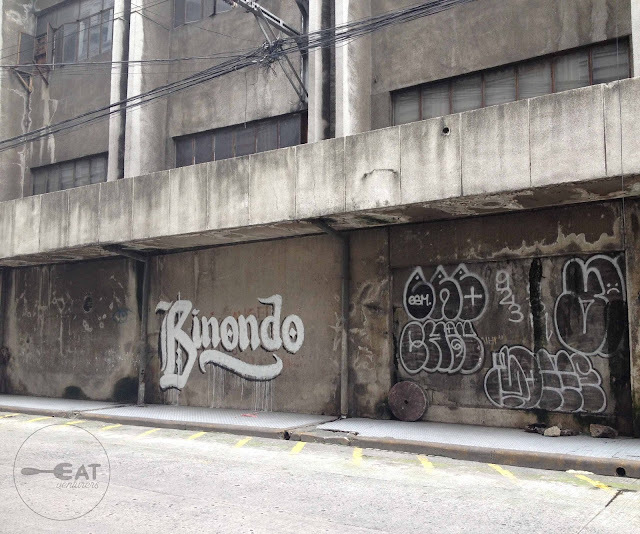 There are lots of artsy and historic buildings nearby including the Regina Building in Escolta. ***Disclosure: Not sponsored. Meals were paid by The Eatventurers. This has been updated February 2019.